I always hear from seasoned travelers (on a good day I like to put myself in this category) that the weather doesn't and shouldn't matter. They say that if you are somewhere and the weather stinks just roll with it and accept it as part of the experience. It is a real test of staying present and sitting in your peace. I am normally pretty good at this, (ie. Iceland hail/rain/snow/sun storm) it really does add to the memory and the experience. In New Orleans, however, that sunny outlook about a cloudy day was tested to the max. Sunday was my only free full day to explore because this was a "work trip." I had plotted an ambitious route of an unknown (at the time) length. I thought it would be long, but I was up for it (it ended up close to six miles). I was however unprepared for the weather. 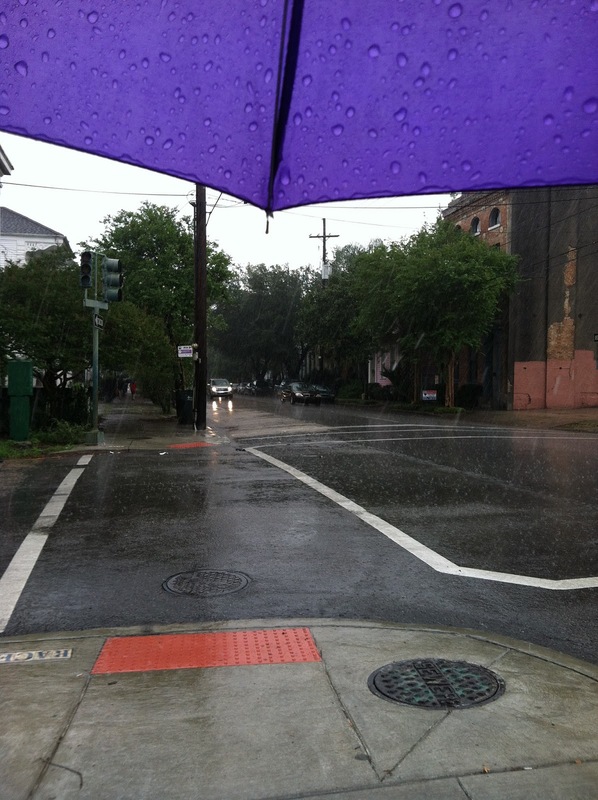 Being from the northeast I have a nice insulated rain coat which does a fantastic job of keeping me dry, but in NOLA it was just way to hot and sticky to wear and walk around with. I stepped out that morning and was hit with the wall of humidity that reminded me I was really in a swamp. I set out from the Riverside Hilton while it was still dry out, damp air but dry ground. 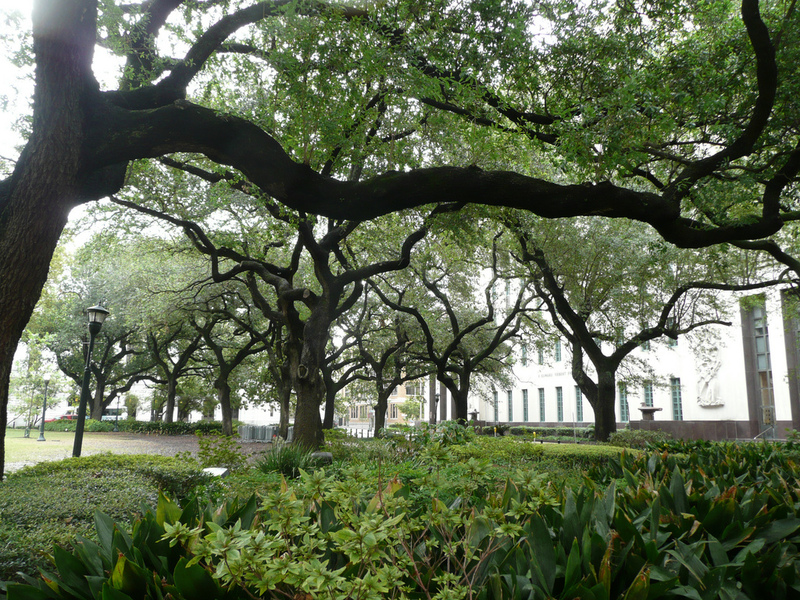 My casual stroll took me through Lafayette Park which has some pretty amazing trees, and a few interesting buildings. I did a walk by of St. Patricks' Church because it was Sunday and mass was in session. The outside is surprisingly green, almost an off olive color, not something you see everyday. I walked out of the CBD via Lee circle and St. Charles Ave. I walked under a few overpasses that didn't look too safe, but kept my walking at a fast clip and pretended I knew where I was going. I tend to do this wherever I am. I will walk blocks out of the way instead of look like I have misplaced myself. I digress. About a half mile into my walk on St. Charles I realize that I haven't seen the street car at all even though I can plainly see the track. Then it starts to rain, then the rain turns into a downpour. 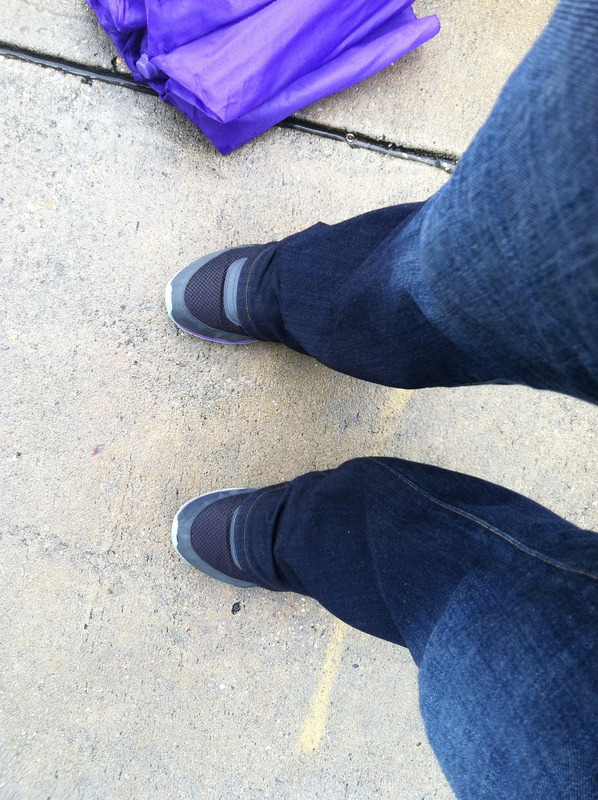 With in a minute or two my pants are soaked up to the knees and my hair looks like I just got out of the shower. I finally see a store, a Walgreen's, where I can buy an umbrella. The clerk tells me that the street car is under construction when I ask. It is only running from a farther section to the end and back. She tells me I should take the bus to that spot and then take the street car. I decide, after seeing not a single bus, to walk it. The umbrella helped keep my face dry at least. It rains off and on at varying speeds for the rest of the day including my walk to the street car. Surprisingly this does not deter me at all. I am peaceful and soaked but enjoying my walk. St. Charles has some pretty amazing houses once you get into the middle and end sections. The trees sweep over the front of the houses draping themselves like they were arranged by a painter. 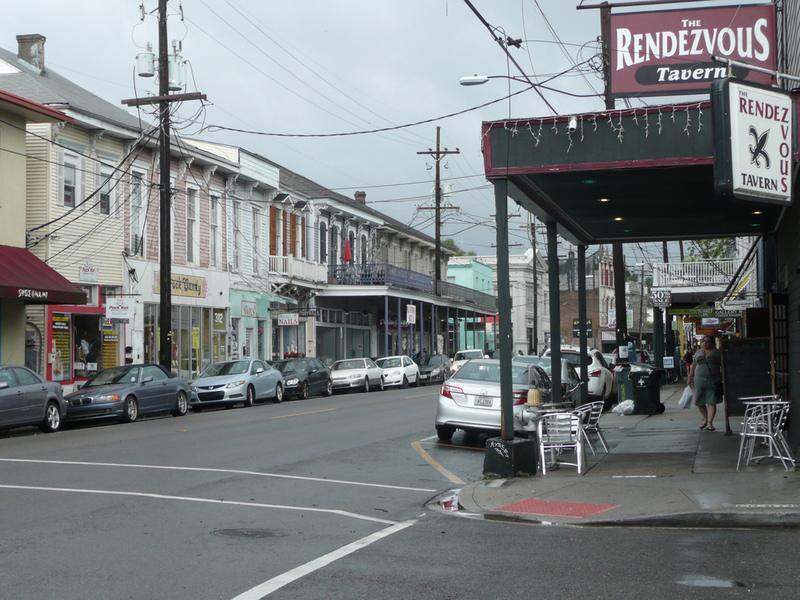 This is the old New Orleans I had always heard about. I finally see the street car, and almost miss it, but run to get on. I buy a $3 day pass which was unnecessary because I just rode it until the end and back because I needed a break from the rain. But if you are going to be hopping off and on all day, it's a great deal. The street car took us by even more beautiful houses than the ones I had already seen. 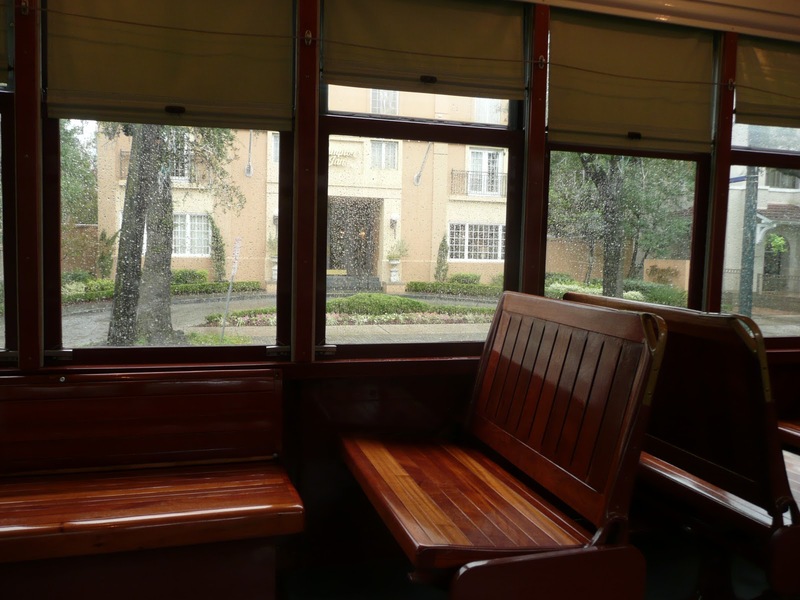 We drove by Loyola and the Audubon Park which looked lovely through the rain soaked windows I was peering out. The street car turns and ends up on S Carrollton Ave before turning around at S Carrollton and Palmetto Street. Then it traces back. Turning around is a bit of a misnomer, the driver just walks to the other end and starts driving the other way. All of the seats are on hinges so you just move the back to face the way the car happens to be going. Pretty smart. I got off at Louisiana which is where I had gotten on and walked right into an ankle deep puddle. I walked down Louisiana and took a left onto Magazine Street. 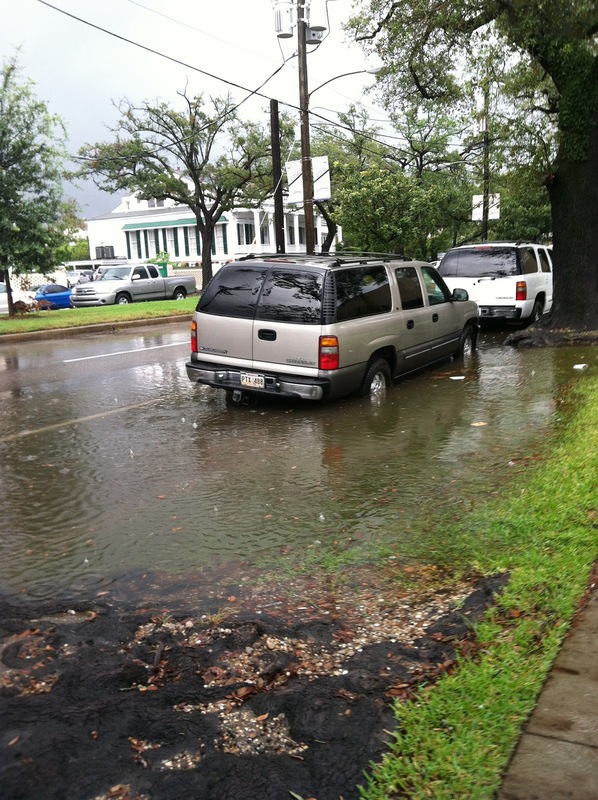 Louisiana Ave was flooded in various spots along the way. The sidewalk is raised and the trees roots are growing over the sidewalk and under it, making for a bumpy walk which was filled with unexpectedly deep puddles. Some cars that were parked on the side of the road sat in half tire deep puddles which had not existed when they parked there. The rain had been so thoroughly soaking throughout the day that there were mini floods all over this road. From what I hear this is par for the course, but it was a sight to see for me. It made me realize how high the water table is and how easily this place flooded. 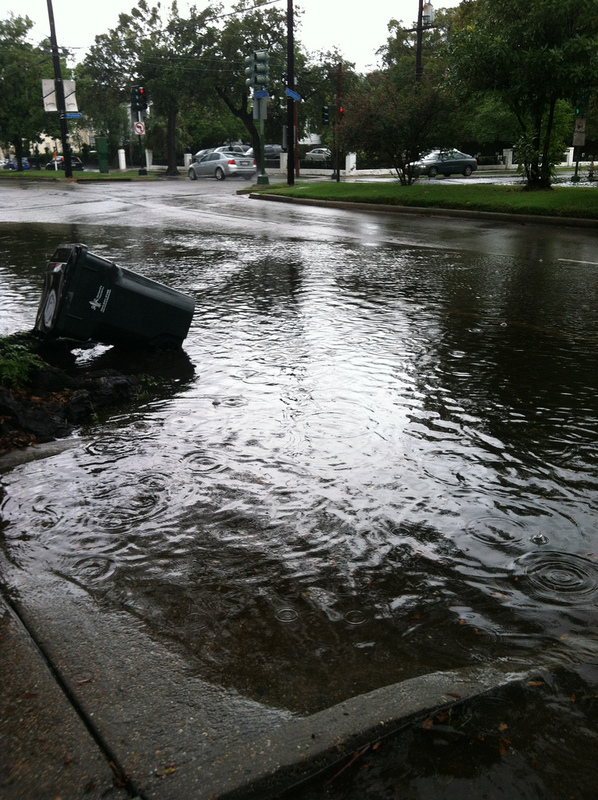 This rain was nothing out of the ordinary either, and to think it was still hurricane season and this flooding was normal. Eyeopening. Magazine street is the best between Louisiana Ave and Washington Ave. That is where most of the interesting shops and cafes are, even though a lot are closed on Sundays. After that it is more residential and then it turns a bit seedy down the road even more heading towards the CBD. I popped into the Sucre for some sweets just before the skies opened up for what must have been the 10th time that day. 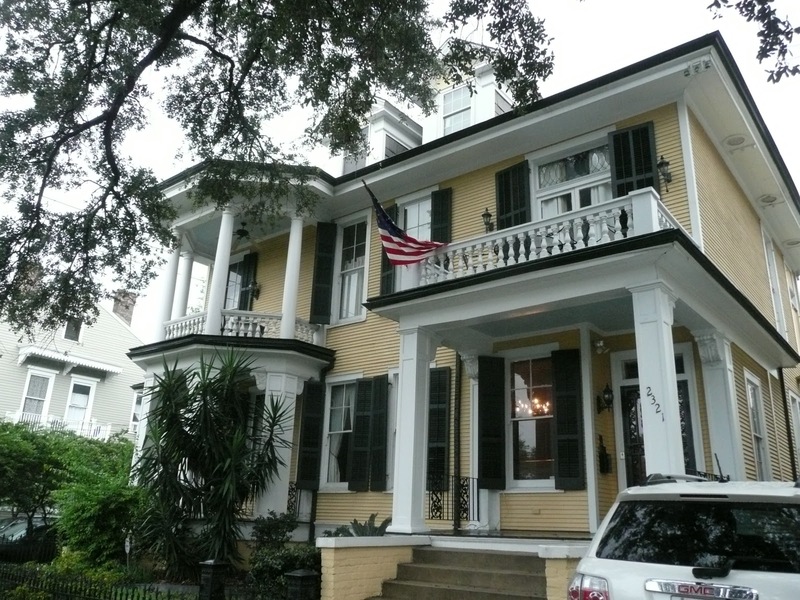 I would recommend walking up Washington Ave or Fourth Street from Magazine into the Garden District area. It is full of more beautiful houses and trees. Really old world style houses that you can easily imagine have been there since the city was settled. I came across some interesting things in the Garden District like lizards and miscellaneous mini monuments (see pictures). I walked back down to Magazine and all the way back to the CBD. I would not recommend doing this. Go back St. Charles and take a bus or street car if it is running all the way. Or if it is nice out and you are in a group walk back. I however was alone and besides getting totally drenched again, realized I should have made a turn somewhere and gotten off Magazine, which I eventually did. I walked back to my hotel and had to let my pants dry for two days. I laughed at myself a lot.